Inclusive education is among the basic principles of the university. That is why it tries to accommodate all students, whether they come from socially disadvantaged families or are physically disabled. No matter whether you are new to Masaryk University or have been around for years, it is a good idea to remind yourself about the distinguishing features of the institution that you are part of. Here are seven things you should know about your alma mater. Tomáš Garrigue Masaryk, the first Czechoslovakian president, was not afraid to take a step into the unknown and go against the tide, and his university can say the same about itself. It is famous not only in the Czech Republic, but also across Europe by having done away with paper grade reports and shifting the entire administration of studies from physical offices to the internet system. In this respect, it is the most progressive Czech university and every semester it saves its students many a worry that would certainly arise at other universities during the inevitable visits to various offices. However, the university is a pioneer in many other respects as well, whether it is the integration of the study environment and the connections it creates among its faculties through interdisciplinary courses or the focus on barrier-free studies. The university technical equipment and the services offered by the Teiresiás support centre make the university accessible for students with disabilities. Inclusive education is among the basic principles of the university. That is why it tries to accommodate everyone with specific needs, from students from socially disadvantaged families to students with physical disabilities. Thanks to Masaryk University’s technical equipment and the services offered by the Teiresiás support centre, it is common to study with people with visual and hearing impairments or learning disabilities. In general, the percentage of people with disabilities is higher at MU then in the population at large and the university keeps pushing to tear down more barriers. At the same time, the university helps those with extraordinary talents. 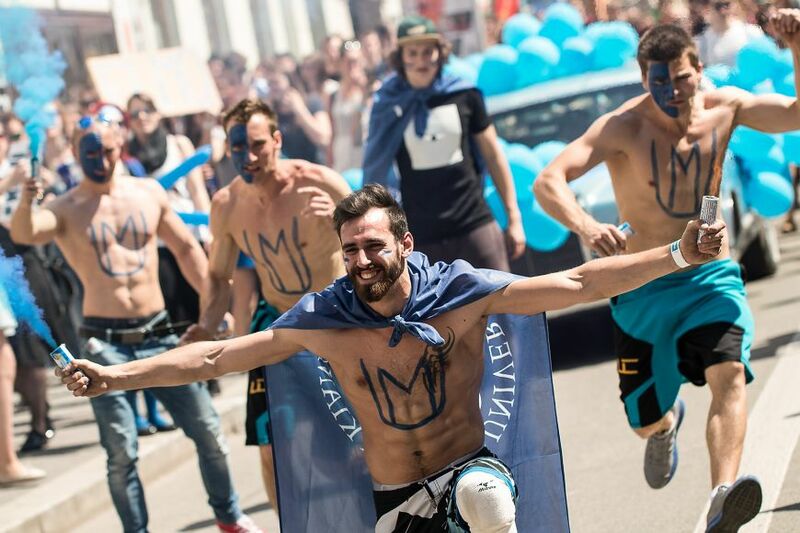 The latest surveys show that Masaryk University students have the highest average IQ in the whole Czech Republic. Sending an aid truck to Ukraine? Just one of many humanitarian aid activities of Muni. Muni is a place where debates over important social issues, such as the refugee crisis or global climate change, take place, but it is also an institution that directly helps society: not only through the expertise of its employees and public lectures, but also, for example, through the new grant programme supporting humanitarian activities. If you would like to go and help in places torn apart by war, migration crisis or natural disaster, you can ask for funding from the grant programme. And if you would like to go and study climate change, you can apply to become part of the team that goes every year to the polar research base in Antarctica run by Masaryk University. Combining the seemingly uncombinable is something that Masaryk University tries hard to do. One of the practical results is that you can enrol in classes at any faculty. Are you a student of informatics with an interest in sociology? Do you spend most of your time in the biomedicine labs, but you would like to learn something about economics? No problem. The same goes for connecting research teams. Natural scientists and humanitarian scholars are quite close to each other at Muni. It will be good for you, too, to adopt a similar mindset. International trends indicate that interdisciplinary approach is the key to success, whether on the job market or in theoretical research. Brno would not be the same without Masaryk University and the same holds true the other way around. MU and other universities give the city its unique atmosphere of a student city (they say that during the semester, every fifth person you meet on the street is a university student) and its graduates make sure that small businesses as well as large international corporations thrive in Brno. In turn, the city does all it can for its students, whether by making sure you get home from every party that goes on until the small hours thanks to the all-night bus lines or by being open to alternative culture. 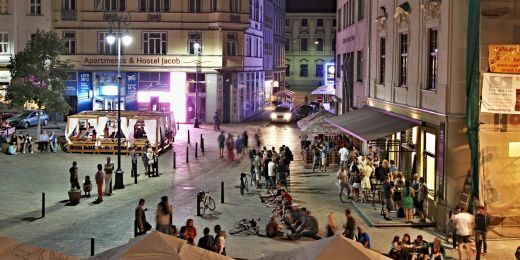 An agreement between the city and Muni also allows the university to run its own University Cinema Scala right in the centre of Brno, with students helping to operate the place and organise the events that take place there. 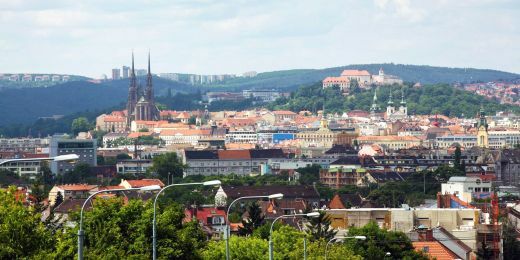 Besides a number of IT companies, Brno also boasts top biomedical research facilities. These days, the best universities are not only places of learning, but also places of research. 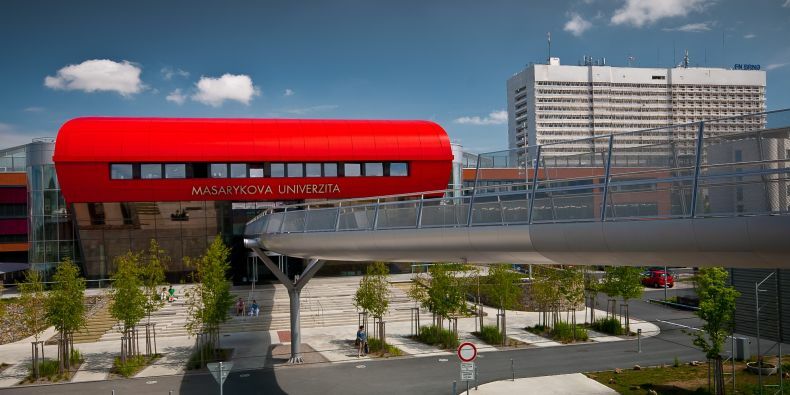 Top research teams of Masaryk University can be found at the University Campus Bohunice or the Ceitec Institute. MU experts search for new ways to diagnose and treat cancer or prevent degenerative brain diseases. At the same time, however, Muni is home to excellent sociologists and archaeologists as well as experts in cybersecurity and information technology law. The 100th anniversary celebrations are going to be huge! Masaryk University is almost as old as Czechoslovakia. The law that established Masaryk University as the second Czech university was one of the first laws passed by the new Czechoslovakian parliament. It was only natural at the time that it be named after the first Czechoslovakian president and it still upholds his democratic and moral principles. Moreover, Tomáš Garrigue Masaryk had supported the establishment of another Czech university even before the new republic was established. He argued that there needed to be more competition among academics. At the beginning, the university had four faculties, teaching medicine, law, natural sciences and humanities. More faculties began to be established mainly in the 1990s up to the current number of nine. Nevertheless, all of them will shortly celebrate the university’s 100th anniversary. It’s going to be huge!